Occupying Asia minor, Turkey has long been at the heart of trade between Europe and Asia. Despite the turmoil in neighbouring Syria, Turkey continues to maintain stability and welcome tourists. With that in mind, if you do wish to travel there, you’ll need to buy Turkish lira. Currency has a long history in what is now modern day Turkey, stretching back thousands of years. We’ll start with the fall of Constantinople to the Ottomans. Sultan Mehmed II conquered the city and shortly after founded the first Turkish State Mint which began producing gold coins in 1467. Fast forward to the 19th century when the first incarnation of the Ottoman lira was introduced in 1844. As the modern Turkish state replaced the Ottoman empire so to the Turkish lira replaced the Ottoman lira in 1923 (although the Ottoman lira remained in circulation until 1927). After years of extreme devaluation in 2003 the Turkish government passed a law which created a new currency which replaced the old at a rate of 1 000 000 first Turkish lira to 1 second Turkish lira. Until 2008 the the second Turkish lira was abbreviated to YTL for Yeni Türk Lirası meaning New Turkish lira. 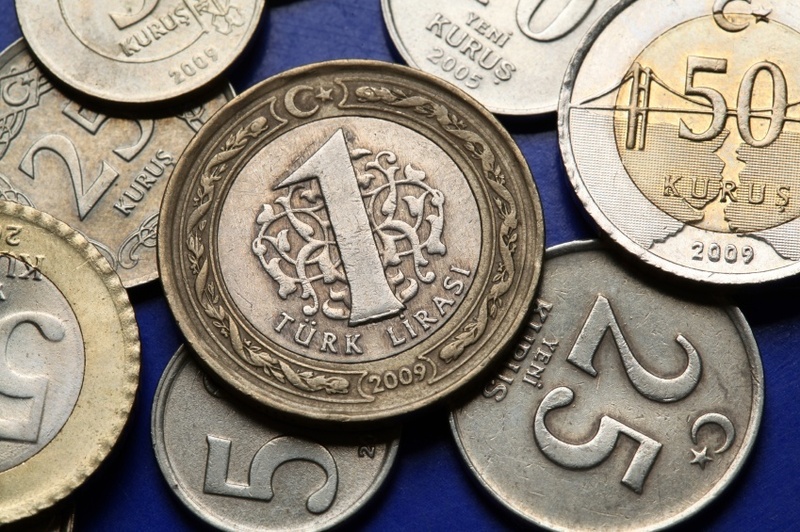 In 2009 the word “new” was dropped and the currency was once again known simply as the Turkish lira. The unique currency symbol (₺) was adopted in 2012. The latest series of coins were released in 2008 although the 1 kurus is rarely seen in circulation. The latest (9th) series of banknotes was introduced in 2009. 5 Brown, Purple Mustafa Kemal Atatürk Aydın Sayılı (historian of science) diagrams of solar system, atom, ancient cave and a DNA helix. The first Turkish lira was pegged to the British pound and French franc, before being pegged to the US dollar at a rate of 2.8 to 1. This rate dropped to 9 to 1 in 1966, and just over a decade later in 1980 the rate dropped to 90 to 1. By 1995 the first Turkish lira was trading at 45 000 to 1 and in 2001 it reached 1 650 000 to 1. The Turkish government issued the second Turkish lira in 2005 (later simply named the Turkish lira) at a rate of 1 million first lira to 1 second lira. Over the last 5 years the Turkish lira has been devaluing relative to the USD, but at a much more controlled rate. In 2010 the Turkish lira exchanged at 1.55 to 1, then 1.80 to 1 in 2012 and 2.09 to 1 in 2014. Turkey is still an emerging market according to the IMF but is also very highly developed. Agriculture makes up 8.9% of the country’s GDP, industry makes up 27.3% and services 63.8%. Straddling Europe and the Middle East, Turkey’s main export destinations are Germany, Iraq and the UK. Despite the financial crisis the Turkish economy grew 9.2% in 2010 and 8.5% in 2011. The brutal civil war in Syria and some domestic dissatisfaction with the country’s ruling party have taken some toll on the country’s economy, with unemployment at 9.3%. The country ranks poorly in terms of ease of doing business at 55th. The Turkish lira has been losing value against the USD over the last five years. The decline is steady but shallow from 1.55 to 1 in 2010 to 2.09 to 1 in 2014. Despite some current security concerns which are being felt economically, Turkey remains a promising economy, bridging Europe and Asia with a relatively young and well educated population. Overall, Turkey and the lira are healthy and promising. Get your Turkish lira from FXtoGO! 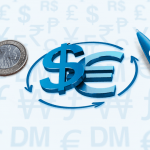 Need to buy Turkish lira or any other of over 40 currencies? We’ve got you covered with FXtoGO! Click HERE to get started. For a broader understanding of Turkish history and culture check out our Country of the Week profile. For information about traveling to Turkey then be sure to follow our Travel Guide.